This is an advanced guide on how to calculate Cash Turnover Ratio with in-depth interpretation, example, and analysis. 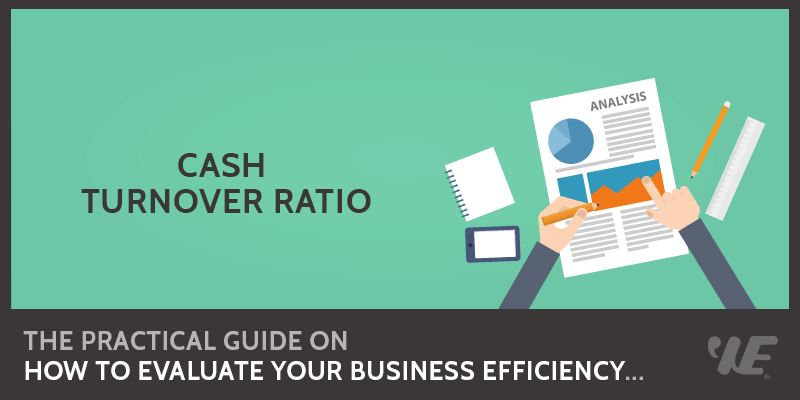 You will learn how to use this ratio's formula to evaluate a firm's efficiency. Definition - What is Cash Turnover Ratio? The Cash Turnover Ratio measures the ability of a company to turn its cash into sales revenue. As a general rule, a higher cash turnover is seen to be better than a lower one as it suggests that the company is being efficient with its working capital by going through its cash cycles much quicker. However, it is wise to note that this may not necessarily be the case. Instead, it might mean a company is burning through its cash quicker, has limited cash available and subsequently might require short-term funding in the future. So divide the Annual Revenue by the Average Cash Balance to get the number of times a company will be able to restore its cash balance with the sales revenue it has generated. So how can you find the average cash balance? You can find all of these numbers reported on a firm's income statement and balance sheet. Now that you know the exact formula to calculate this ratio, let’s dive into a quick example so you can see how this ratio actually works. PQR Company has generated $150,000 in sales during the year. On its financial statements, we can see that it had $30,000 in cash & cash equivalents at the beginning of the year and $40,000 in cash and cash equivalents at the end of the year. The cash turnover for PQR is 4.30 which suggests that they refreshed their cash balance 4.30 times during the year. To further analyze the result, you should compare it to previous years, and that will highlight the increase or decrease in efficiency over a period of time. An increasing the cash & cash equivalent turnover ratio would suggest that over a period of time, you are turning over your company's cash balance more times per year and taking less time to restore it and thus being more efficient. A decrease in this ratio would suggest that the company is becoming less efficient at refreshing its cash balance and this would be seen as a cause for concern for investors and creditors. It is also wise to monitor how high the cash and cash equivalents turnover actually goes over a period of time. What is a good cash turnover ratio? Although it is a good rule of thumb that the higher the ratio, the better, this is not always the case. A ratio that is extremely high might signify financial trouble due to a low cash balance. It's also wise to note that the strategy of a company might affect its cash and cash equivalents turnover. For example, if it is holding cash for a product launch or subsequently needs a higher proportion of cash to generate sales, this might provide a misleading result. The cash turnover ratio, like its name suggests, is much more informative for those companies who have a higher percentage of cash sales in comparison to credit. One of the major flaws of the ratio centers around whether or not the company sells on credit. If it does, then the ratio can be misleading and suggest that you are restoring your cash more frequently than is actually true and so would be presenting a better image of the business.